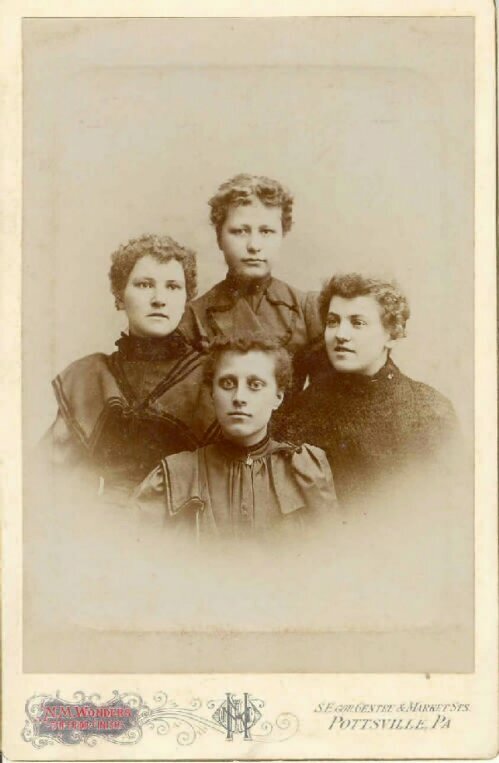 Collection of Jane Pizzoferrato: Descendants of Daniel & Elizabeth (Reifsnyder) Wagner. Photos from two Wagner albums, one standing upright and the other like a book, both padded, in bad shape, originally red velvet, purchased ca. 1980 at an antique fair near State College, Pennsylvania. Most photos were taken in Berks County; others of descendants who moved to Union County, PA, to Illinois and to Indiana.